Georges Mochet built microcars in Puteaux between 1946 and 1958. Prior to that he built pedal-powered cars under the Velocar name. But when he started powering them (even in desperate, post-war Europe, people weren’t necessarily thrilled with having to pedal), sales took off. Early cars were kind of bizarre, but the company hit their stride once the Mochet Type K gave way to the CM-125. 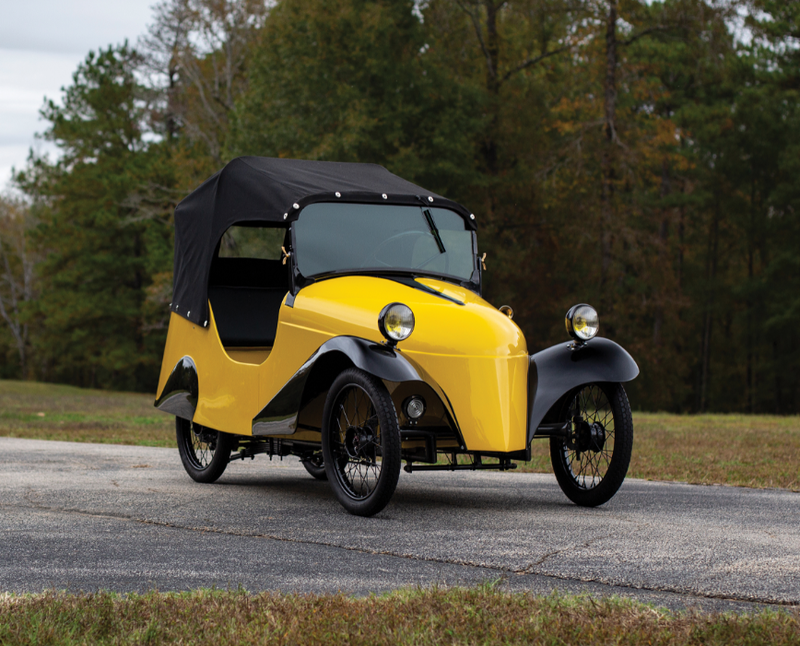 Power in this little runabout is from a 125cc single-cylinder engine that made five horsepower. That may sound sad, but in France at the time that meant you didn’t even need a driver’s license to operate one (and they are street legal). It would even evolve a commercial variant. This example was part of the Bruce Weiner collection, where it was restored. It is now offered with an estimate of $35,000-$45,000. Find out more here and see the rest of the RM Sotheby’s Petersen lineup here. This entry was posted in Uncategorized and tagged 1954, auctions, cars, classic cars, cm-125, luxe, microcars, mochet, rm sothebys by classiccarweekly. Bookmark the permalink.